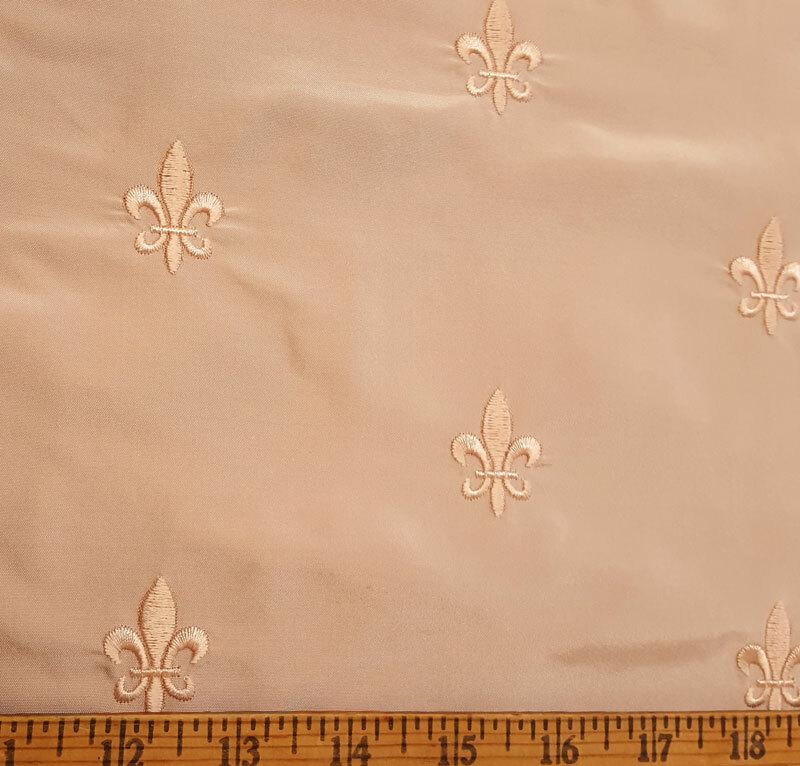 This beautiful embroidered 100% silk taffeta in Peach Blossom Fleurs is simple, yet lovely. 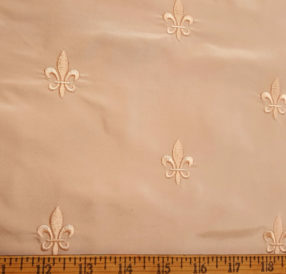 It has 1 1/4″ fleurs de lis regularly placed throughout the fabric (in rows) in matching thread. Just the right addition for French impressions throughout history, especially in the Medieval and Renaissance Eras.